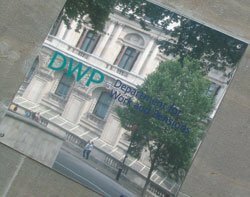 The Department for Work and Pensions (DWP) is writing off £40.1m of IT work on Universal Credit, and a further £91m will be written off over a five-year period instead of 15 years as previously planned. Speaking to MPs on the Work and Pensions Select Committee, DWP secretary of state Iain Duncan Smith insisted that, “There is no debacle on Universal Credit”. Mike Driver, finance director general at DWP, dismissed claims that hundreds of millions of pounds of IT spending had been wasted. He said the National Audit Office (NAO) had signed off the DWP accounts to include an intangible asset of £152m, made up of £125m of software code and £27m of licences. Of that software code figure, £34m will be used in the “ongoing digital solution” for Universal Credit, while £91m will be used in the system that will be in place until the new digital system is completed. A total of £40.1m has been written off straight away, slightly higher than the figure of £34m that DWP previously admitted to in a highly critical NAO report released in September. A detailed assessment has taken place in recent months to evaluate how much of the £303m spent so far on IT could still be used on the project. “This was one of the most complex and detailed assessments that has taken place in the private or the public sector. The asset we now own to take Universal Credit forward is worth £152m to government. It is not just about write-offs, the government owns assets that will deliver Universal Credit,” said Duncan Smith. But he admitted under questioning by MPs that, “If anything goes wrong further forward that may be different”. Driver said that a further assessment of the value of the IT developed so far also showed that it has a net present value to the taxpayer that is “substantially more” than the money spent. But the £91m software asset will be amortised over five years instead of 15 – meaning the software will have no asset value by 2018, a year after Universal Credit is due to be fully live. The DWP said last week that it is now following a “twin-track” approach whereby the existing IT in the Pathfinder pilot projects will continue to be developed during the early roll-out of the welfare reform, but a new system will be developed ready for full live running by the end of 2017. Universal Credit director general Howard Shiplee also revealed that the new system being developed will use open source, and he implied it will use cloud-based services. “The digital approach is very different. It depends not on large amounts of tin. We will use open source and use mechanisms to store and access data in [an online] environment. It is much cheaper to operate and to build. We don’t have to pay such large licence fees,” he said. Moving away from "digital by default"
He also said the system is no longer being developed on the basis of being “digital by default”, as mandated by the Cabinet Office digital strategy. “In the early days there was a mantra of digital by default. From a security point of view, to have everything digital is not sensible or appropriate. It will take some time to get to a completely online system,” said Shiplee. However – and somewhat confusingly – Lord Freud, the minister for welfare reform, told MPs: “We are building a digital system where people inter-relate initially on computers. We are building a second-generation system for use on smartphones. Even on Pathfinder we are finding a lot of people interacting with it on handheld devices including phones. Sources close to the project have consistently told Computer Weekly that there continue to be problems with the IT, with rumours of disagreements between DWP and the Cabinet Office over the best way forward. But those sources also said Shiplee has brought in a better approach since his appointment in May.